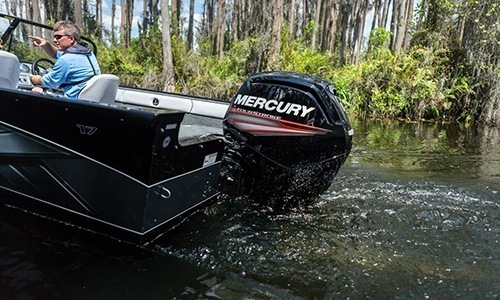 LIGHTWEIGHT & FUEL EFFICIENT - Mercury’s world-renowned engineering team has packed incredible power into these lighter, compact four-cylinder single-overhead-cam engines. 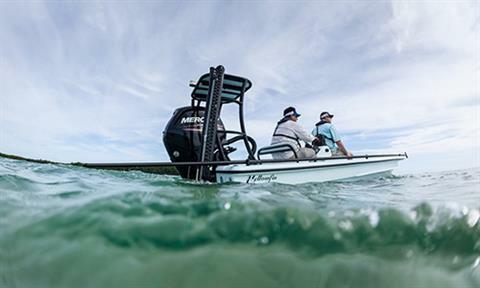 The 115 hp weighs 20 pounds less than its closest four-stroke competitor, making it the world’s lightest low-emissions outboard in its power range. Dry weight specification is for the lightest-version model. Comparative weights refer to base engines without oil, propeller or integral steering cylinder. Weights based on Owner’s Manual specifications. 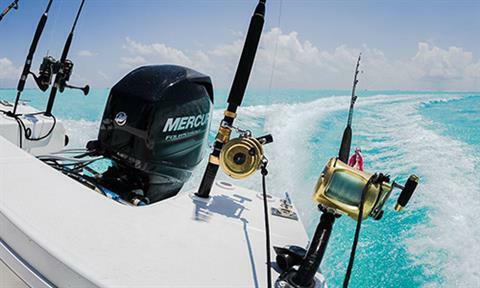 WORRY-FREE - The same lifetime maintenance-free valve train found in our&nbsp;150 FourStroke&nbsp;engines makes the 75 - 115 hp FourStroke outboards incredibly durable. COUNTER-ROTATION - Do you like to boat offshore even though you’re not in the market for a big boat? 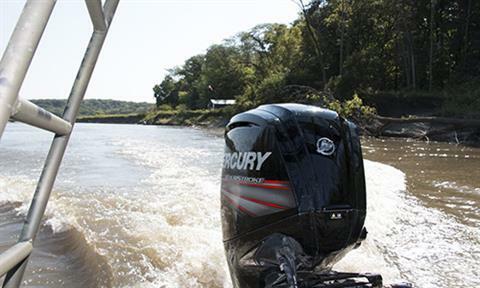 For the first time, Mercury is offering a 115 hp FourStroke with left-hand rotation. 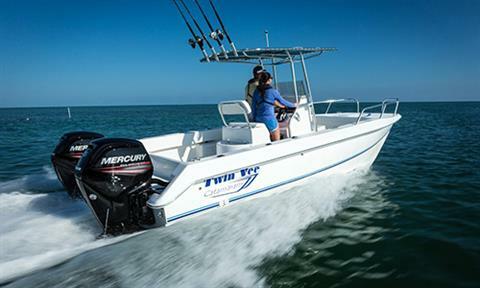 Two of these mid-range monsters on your transom provide the maneuverability and get-home safety of higher-horsepower twins at a price that’s easier on your wallet. 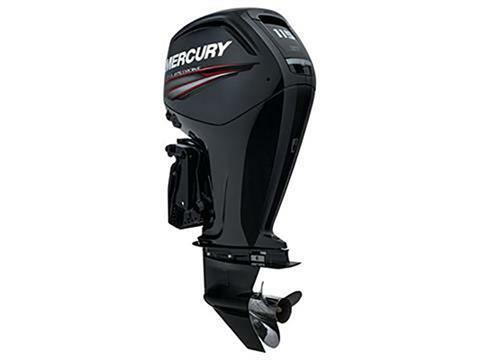 Unlike competitive dual 115 hp engines, dual 115 Mercury FourStrokes are Command Thrust models, which swing V6-class propellers, such as Enertia series to deliver improved acceleration and better boat control in rough water. BIGGER FOOTPRINT - The larger Command Thrust gearcase creates a bigger footprint in the water, which provides more leverage to control your boat. The larger torpedo, combined with a bigger-diameter prop, can lift a heavy boat onto plane more easily and hold it there at lower speeds without impacting top speed. 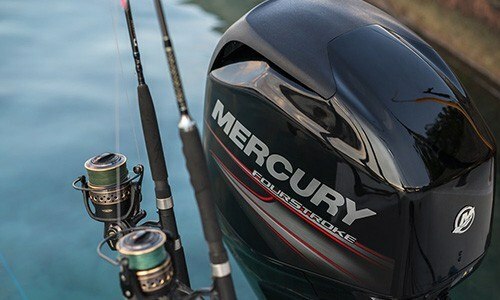 QUIETER THAN THE COMPETITION - The Mercury 115 FourStroke is quieter than the Yamaha F115B across the rpm band. At idle, the Mercury is four decibels quieter than the Yamaha – the Yamaha is 25% louder. At cruising speed, where normal conversations occur, the Yamaha generates almost 15% more noise. 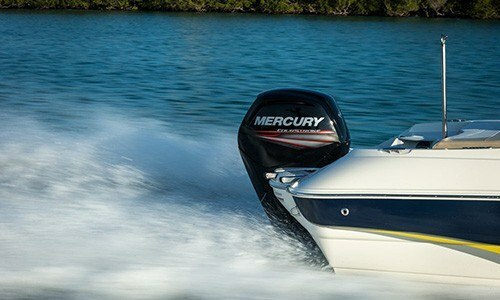 At wide-open-throttle, the Mercury is more than eight decibels quieter – the Yamaha is 50% louder. 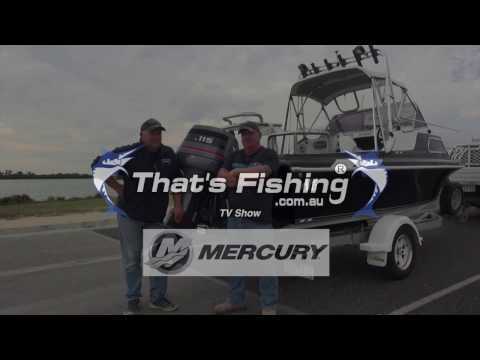 SMOOTHER THAN THE COMPETITION - The Mercury 115 FourStroke has less vibration and rides smoother than the Yamaha F115B. At forward idle, the Mercury’s vibration level at the driver’s seat is up to 50% lower than the Yamaha. On the transom, the Yamaha puts out nearly five times more vibration than the Mercury – both at at a Mercury Marine test location on a 2013 Bayliner 170. POWERFUL & EFFICIENT - Less weight and high displacement mean Mercury’s new 75 - 115 FourStrokes generate abundant torque and immediate power. Because they don’t have to work as hard as heavier engines or those with lower displacement, these engines make boats plane faster, accelerate better and provide optimal fuel efficiency at cruising speed.